Our RS Pro network cable tester kit makes the perfect addition to any toolkit. 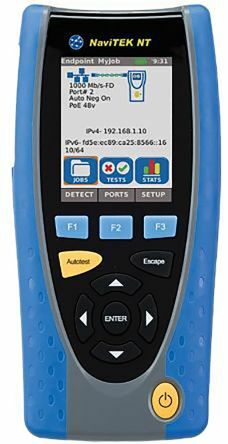 With the ability to test multiple cables such as UTP, STP, Cat cables and coaxial, this versatile tool is a must-have to network admins. It can test for such errors like open, short, cross and split wires. This kit includes a toner for checking cables also. 	Can test multiple cables such as: UTP, STP, Cat5E, Cat6, Cat6A and Coaxial cables. 	Locate and identify the distance of an open or short circuit. 	No power supply needed. Just a 9V battery. Low battery indicator included. 	Easy to read LCD backlit display for effortless diagnoses. 	Memory mode for 8 memory tested results. 	Test the continuity and wiring of the cable pattern. 	RJ45, RJ12, RJ11 and F connections. 	Operating temperature of 0-50°C. 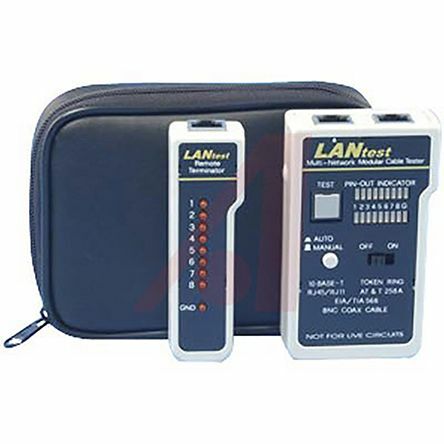 This easy to use network cable tester can be used at home or in the workplace for testing your networking cables. 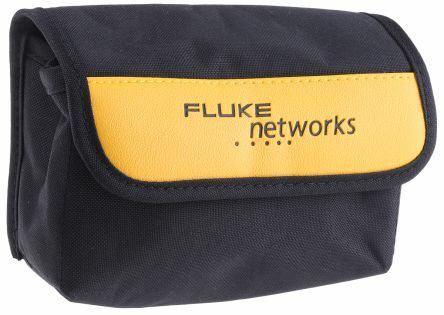 If you wire your own Ethernet cables this will be a great help in diagnosing a problem if one occurs. What is the difference between RJ45 & RJ11? 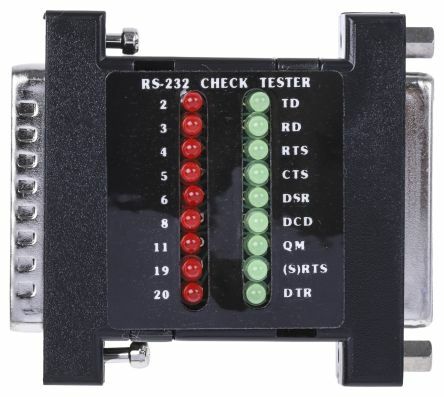 RJ45 is an 8-pin connector where as RJ11 is only a 4 wire connector. RJ45 is used in Ethernet connections to connect computers to networks. RJ11 is more of a conventional telephone wire used to bring fibre into your house. RJ is the abbreviation of registered jack. Need a crimping tool or RJ connectors?